Though there are few things as enjoyable to any swimmer as wearing brand new goggles for the first time, finding the right goggles for new and intermediate swimmers is usually a process of trial and error. Most people visit the local sports shop and pick something from the available range. This works to a large extent but doesn’t necessarily result in the best or most suitable choice. Most new swimmers aren’t part of a club or have the advice or knowledge of experienced swimmers. Then it struck me that I’ve never seen a guide on goggles in general so I thought some explanation of the different types and options available might be helpful for some new swimmers. I’ve also previously looked at the history of swimming googles, reviewed some of the many goggles I’ve worn myself and even written a guide on how to fit Swedish goggles. Any group of experienced swimmers will have as many opinions on goggles as pairs that they’ve worn. It may be because the range of equipment used by swimmers is small compared to some sports like cycling or surfing that swimmers like discussing goggles so much. However, some swimmers are prone to absolute pronouncements about what kind of goggle is best, whereas that’s a decision you can only make for yourself. It appears to me that swimming googles could be classified as each belonging to one of a (small) number of different categories. This is entirely my own classification, but I’ve never seen an alternative elsewhere. It’s maybe not surprising that this hasn’t been done as companies prefer you confused to have an increasing range of choices, but that’s not helpful for beginners or even intermediate swimmers trying to choose appropriate goggles. This article isn’t A review, but an explanation and classification of the different types and options from which you can make an informed choice. The primary function for all goggles, of all types and prices, is to stop water getting into your eyes (so obvious it shouldn’t need repeating, but sometimes I wonder about some of the marketing). There are other considerations when choosing goggles such as cost, comfort, fashion, perception, streamlining, longevity, reliability, sight improvement and light modulation. The combination of personal preference of all these considerations results in an individual choice for every swimmer. Only you can know which type you prefer and which type suits you and your swimming and different swimming requirements and conditions. You may find the goggles you love and that suit you on your first attempt, or you may like me try many goggles before choosing and even occasionally change preference. One more item of council: My experience is that most sports shops selling goggles favour certain brands heavily. Here in Ireland that’s Speedo, with Zoggs and Maru in the swimming pools, and with AquaSphere in the triathlete shops. In many cases, they don’t sell the better or more appropriate ones for you. Those selling goggles rarely if ever have any experience or understanding of the differences, which won’t stop them making absolute pronouncements of certainty to you about what you need, often based on what the local triathletes or age group swim club kids are wearing. 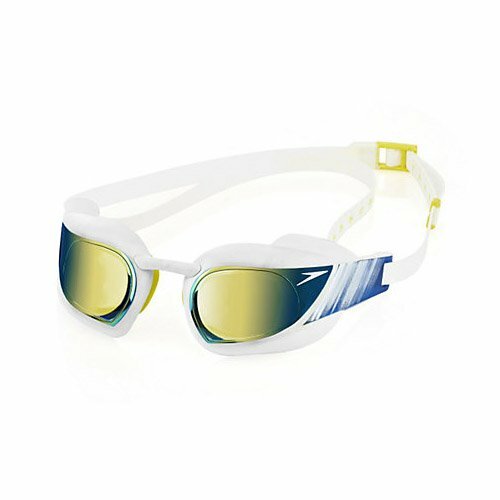 Most particularly, many general sports shops will often have never even heard of such as the incredibly popular with competitive swimmers Swedish-type goggles or not be familiar with the advantages or disadvantages or differences of each type. I would advise that you will get more useful information asking someone in the pool about their goggle and if you can have a quick look or what problems they have found. Clear lenses are best suited for winter swimming, whether pool or open water or overcast days when light levels are low, and also for night-time open water swimming. 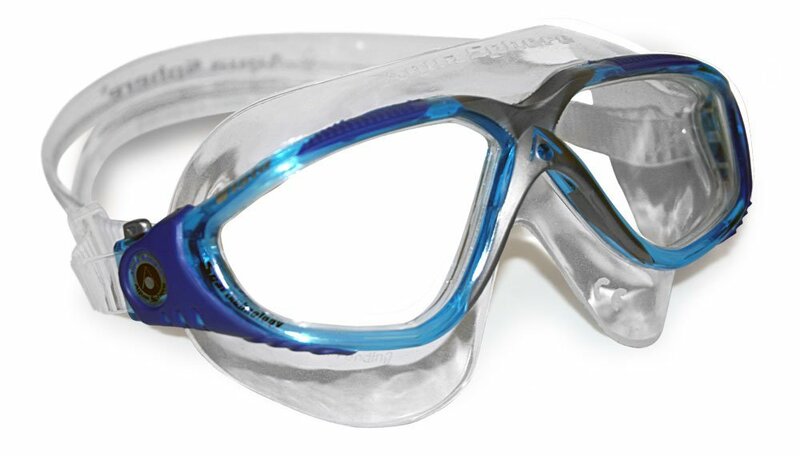 Blue lenses are often chosen to maximise open water underwater visibility. Mirrored and dark lenses are chosen either for a perceived psychological advantage in competition, or to reduce glare in open water swimming. Coloured lenses may be chosen either for personal preference, or in some cases to help attenuate some specific problems such as dispraxia where the actual colour chosen is important to reduce vision stress. Goggle manufacturers usually offer both kids and adult goggles, though there may not be much crossover in the ranges. Worth noting for some adults is that some manufacturers (e.g. AquaSphere Kayenne) offer “small face” size goggles in some of their models for adults with (obviously) smaller faces who don’t want to buy children’s goggles. When choosing frame type the environment in which the goggles will be used is important. Experienced swimmers choosing goggles for pool training and competition will usually want to emphasise reliability and streamlining (Type 2 or 3). 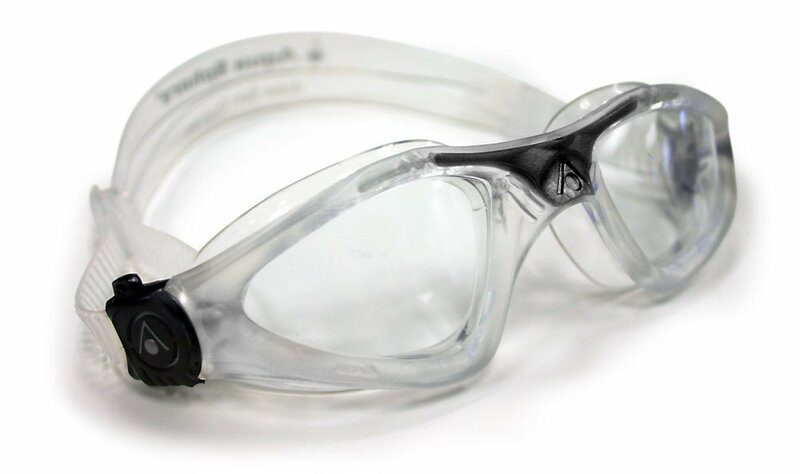 Beginner and Intermediate swimmers may feel that “competition” type goggles are not for them, but these type often offer the best range of options. Fashion or style (i.e. peer pressure) can have an impact also. Someone choosing goggles for leisure or lap swimming will likely favour comfort (Type 1) but should also looks at Type 2 goggles. Open water swimmers and triathletes are concerned with a wider range of sunlight and rough water conditions and choose Type 1 or Type 2, with a small minority using Type 3 (Swedish). Straps on goggles also differ. Type 3 original Swedish goggles use a simple strip of elastic which is tied at the right length. This is based on the (realistic) expectation that once you get the length correct, it doesn’t need to change. Most goggles however use some kind of buckle system to adjust length. Some of the Type 1 Frame goggles use a push button system to allow very quick easy loosening and a ratcheted pull strap to set tightness. This can be very useful but once you have a strap length set correctly for you then length adjustment is usually unnecessary afterwards. Trade-offs for this ease of adjustment include increased cost and most are only a single length around the back of the head, which is often considered inferior for holding goggles in place. There these straps must be wider also. Some goggles have split straps to give better hlde on the back of the head. The over-riding problem with these specific manufacturer straps is that should they split (as straps are prone to) replacement may be difficult or impossible. (In fact when I was using Aqua Sphere, splitting straps was a specific and recurring problem on the Aquasphere Kaiman, such that I contacted the manufacturer, who sent me a bag of replacements straps). Anti-fog is generally standard on most goggles, but you should always check. My own experience has shown that the anti-fog application has sometimes failed or not happened at all, across the various manufacturers. For goggles with anti-fog do not expect it to be effective for more than a few months. To care for goggles, you should rinse them regularly in clear water. Once the anti-fog deteriorates, as it inevitably will, you can simply lick the insider of the lens, spit into the lens (more effective), or use a commercial or home-made anti-fog liquid (a few drops 50/50 baby shampoo and water, rinsed off in clear water). Never touch the inside lens of the goggles as this immediately causes anti-fog deterioration to accelerate. Type 1 goggles could also be called Frame Goggles. In these goggles a flat lens is fitted into a socket in the surrounding frame. The frame itself usually has a larger silicon gasket , which may be part of the frame itself, or attached to provide the waterproof seal. The nose bridge and frame are usually one complete indivisible unit and the nose width is increasingly not adjustable, though some goggles of this type offer various types of interchangeable nose bridges. These goggles can seem large when worn. These are often the most comfortable type of goggles for many people, especially beginners and intermediate swimmers and triathletes. 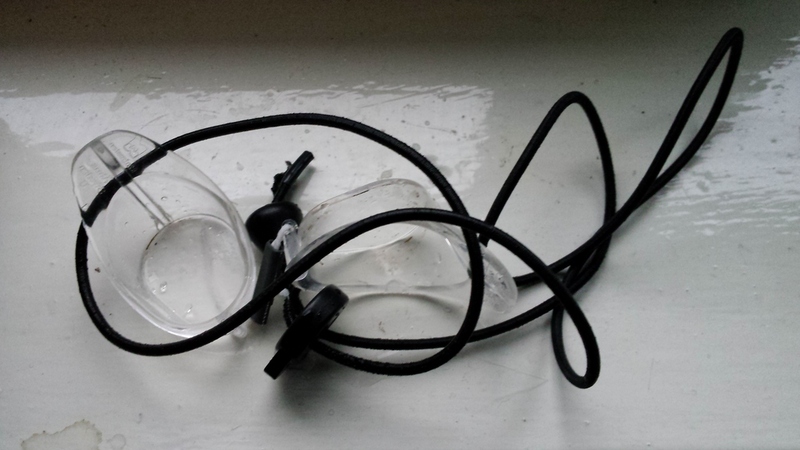 These are often sold as “fitness”, or “leisure” goggles, but also increasingly as open water swimming type goggles. They exhibit a full range of frame colours and lenses from dark to light, clear to dark, colour-tinted and mirrored. Light or clear frames increase the incoming light, but may or may not improve visibility of objects. They range in price from very cheap no-name versions to expensive open water polarised and mirrored goggles. Goggles in this range are easily worn for long periods due to the large gaskets and seem to handle rough open water conditions well. But their larger size also makes them more prone to “accidental impacts or removal” in the crush of aggressive race starts. Goggles in this range are also subject to the most aggressive marketing by companies chasing the lucrative triathlete market. A flaw often associated with the larger gaskets on these goggles is that some lose their ability to seal out water effectively, even when they seem to still be in good condition. I was wearing these type of goggles (Aqua Sphere Kaimans and Kayennes) right up to and including the English Channel in 2010. My disenchantment with this type came as a consequence of the aforementioned shorter lifespan. There have been recent substantial increases in goggle prices of this Type seemingly driven by goggles marketed and sold to tri-athletes. An impartial or cynical observer (like me) might more easily note that the increased costs seems merely to have delivered a wider range of frame colours and shapes and strap adjustment options. 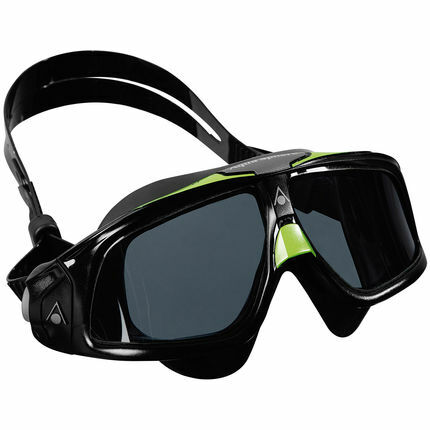 These goggles emphasise comfort as the second characteristic (after keeping water out of the eyes) with easy of adjustment emphasised as important. Type 1 Zoggs-Predator Flex Goggles-Tinted & Polarized with black, white & red colour frame – Not at all ostentatious! Type 2 goggles are Training or Competition goggles and often sold using these descriptions. The lens is rounded and bigger than full frame goggles, with better visibility as they are often transparent on the sides. The sealing gasket is smaller and not as forgiving nor as intrusive as Type 1 but usually still sufficient. Type 2 goggles are also smaller on the face than Type 1 Full Frame goggles. The price range stretches from mid-range to most expensive. There’s a range of frame colours and lenses from dark to light, clear to dark, colour-tinted and mirrored which is very popular with competitive pool swimmers. The nose bridge is always adjustable. This is often achieved by choosing from a range of included different size bridges, or a single adjustable bridge. 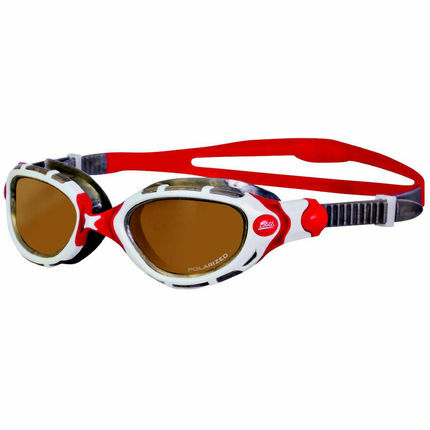 Good quality goggles in this range also handle rough water well and can be comfortable for long periods as they are used by swimmers spending a lot of time swim training. The range of lens tints also suits open water, though clear lens versions aren’t as common. These types of goggles (specifically the View Visio from Oceanswims.com and Speedo Vanquisher 2.0) are my favourite longer distance open water goggles. 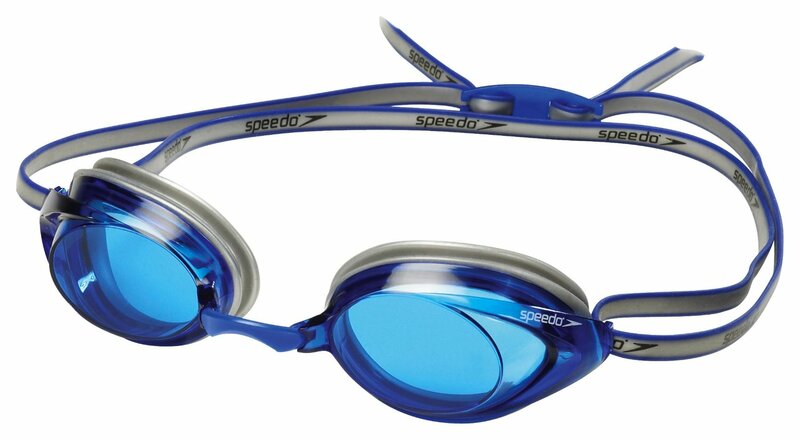 The highest end goggles are in this category with the Speedo Fastskin Elite googles. Examples include Speedo Vanquishers, Vanquisher & Speed Sockets, Arena Cobra, Tyr Tracer & Velocity. Swedish aka “Swedes” (like Godfrey googles from the 1960’s & 70’s) are sometimes also called competition or racing goggles, though other Types are also worn in competition, most commonly Type 2. However the lack of any soft sealing gasket moves them into a separate category. The lens and frame are all one single hard plastic piece and are quite small when worn. The hard plastic lens seals directly against the skin. 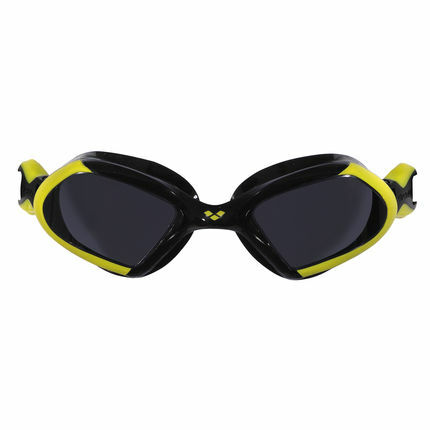 These are the smallest goggles and therefore the most streamlined excluding the very specialised Speedo Fastskin Elite goggles mentioned in Type 2. Swedish goggles require personal assembly and fitting. They only come in one size. They can take a while to get used to, but are very effective once you are familiar with them and have prepared and fit them properly. Their visibility is unparalleled amongst all other the other Types. Some highly experienced open water swimmers use these exclusively for marathon swimming. In open water racing situations though the hard plastic shell can cause more damage should the wearer suffer a stray kick to the face, an occurrence possible during a mass start. I use them for open water swimming but find (for myself) that they are not as good at retaining a seal in rough water. The nose width is adjustable usually using a simple length of string, though short sections of silicon or even goggle strap are often used. Perhaps surprisingly given how effective and popular they are at elite levels their minimal frills and manufacturing requirements make these amongst the lowest cost price range. The range of lenses is from dark to light, colour-tinted and mirrored. They have the longest lifespan as both nose width and straps are easily and cheaply replaced, and there is usually no silicon gasket to perish. There are occasionally customised by changing the strap type, length of or material of nose piece type, and individual socket colours from two different pairs are sometimes deliberately mismatched. 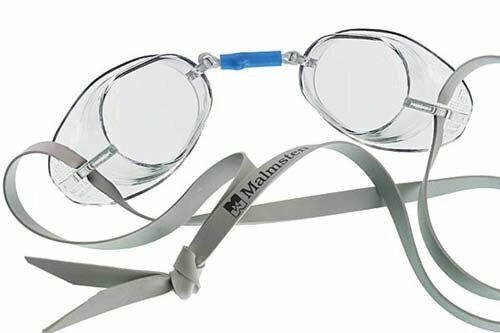 Swedish Type goggles are often favoured by serious or competitive swimmers up to elite level who value their extreme reliability and small streamlined shape. Such is their popularity amongst elite swimmers that original Malmsten Swedes are now sold under the Speedo brand (who didn’t manufacture this type of goggle but a derivative, the Speed-socket) and where they attract a significant markup. The cheaper Malmsten originals and clones are all equally effective and available onllne. Type 2 – Nootca 5 Swedish goggle – Type 3 – Nootca 5 Swedish goggle are a minor incremental change and add a thin layer of silicon to the plastic edge of the shell as a slight nod toward comfort. I don’t like including Swim Outlet links because they don’t sell outside the US & Canada and Amazon don’t sell them. Type 3 – My current 2 year old clear Swedes. The nose-bridge is string and the strap has been replaced with an elastic lace, aka bungee and I added a toggle for quick strap adjustment. There’s probably around two million metres on this pair. Simple, effective, streamlined, cheap and long-lasting. The least used type of swimming googles, these are the same as diving masks, indeed they occasionally are full diving masks. They may even have an integrated nose cover. These are the largest and heaviest type. Rarely seen in pools, occasionally preferred by some open water swimmers who find them extremely comfortable over long swims. They can handle rough water well. They atre available across the full price range. from cheap no-name brands to expensive dive masks. They tend not to be chosen by faster swimmers who do not like the idea of increased drag though in open water this is difficult to quantify. These come in an increasing range of frame colours and lenses availability and increasing attention is being given to reducing drag. The most important factor is if they fit you well, and that depends on your nose and face size and shape. Even very expensive goggles may not fit you. But most goggles can’t be tried on the shop because of hygienic reasons. So, you need to try with other’s goggles or spend your money and bet. I never realised I was ostentatious but there you go 😁😁😁 I find the polarised lenses on the zoggs predator flex great especially when heading straight for the sun, makes a difference to visibility for me anyhow. While it might seem obvious one small tip for the beginnerish end of both pool and open water swimming that I come accross quite often whether it’s adults or kids is if you put your cap on first before your goggles then you need to make sure the seal of the goggles is just on your face and doesn’t have any of your cap under the seal as they’ll leak, I’ve noticed this more and more especially with the rise in use of the Type 4 goggles/masks and even Type 1 goggles. seemed to make no difference, and I think it was one of the most painful (and powerless) experiences I have ever had. Eventually I was taken to an optometrist who said I had a chemical burn, he washed it out more thoroughly with saline water, and about five hours later it eventually settled down for me to get a nights sleep. The next day I was a shattered wreck and felt I had run a marathon, and a couple of weeks later was good as gold. Lesson learnt – if in any doubt with something like this in your eyes, keep it under a hose or tap as long as possible to dissipate or dilute whatever was in there. I am still not sure exactly why this happened (perhaps after 20 years it wasn’t such a good mix, I probably didn’t wash the anti-fog out enough, and/or it condensed onto my eye) – but eyes are one of the most sensitive parts of your body (if not THE most), and don’t ever be as complacent as I was. I still use anti-fog these days (took me a while to try again), but needless to say I threw that old bottle out. You forgot to mention bungee straps. By far the most popular on our team. Ease of use. Easy to adjust and super quick little tug right before a race to make a little more snug fit. Greatly reduced goggle issues during our starts. You are right Greg, and I use them myself, though I’ve found good bungee straps for goggles aree hard to find in Europe. Do you use silicone or elastic? Very useful for people when choosing a swimming goggles. Thank you very much. The elusive search for the perfect goggle. From my own experience and collection I have found that Type.2 goggles that fit and seal well are very forgiving in that they are tucked away into the eye socket and have excellent hydrodynamics although on longer swims they can be uncomfortable. Adjustments can also be very fiddly in lively or rough open water conditions. I would say these are the cafe racers of the open water and my favourite. The Type.1 goggles or open water goggles I have found to be great for a while but have continuously been disappointed with gaskets that loose their shape over time. Although my current TYR SPEC OPS are performing well and super comfortable they do need special attention when it comes to preventing goggle fog. Worth mentioning also with the larger gasket type open water goggles is to pay particular attention to how you breath. I learned the hard way through trial and error that the leaky left gasket I was experiencing was due to there being greater facial expression on my left side when breathing. So remember a gasket is only as good as the cheek it’s sealed on or in other words the face of Popeye has a time and a placed. The Type.1’s are the comfort long distance cruisers. The Type 4. goggles or masks are interesting in that you can achieve an excellent seal. I have a couple of the Aqua Sphere masks which are great, I have also used some ultra low volume spear fishing/freediving masks from Sporasub and Omer which are indeed full face but worked superbly. I love this type in rougher conditions and poor visibility. Perhaps because they are the easiest to adjust and allow for greater visibility, protection and a sense of whats happening. They are the most versatile of the group the off road Paris Dakar to hell and back if you like. The Type 3 Swedish goggles I have yet to try. They do however remind me of Burt Munro’s 1920 Indian Scout and his Offerings to the God of Speed. I’ve used the AquaShere Kayennes but have now shifted more to the larger AquaSphere Vistas. I also have had the problem of the outer gasket starting to leak, and also the straps breaking before I would expect. Keeping all this stuff out of the sun is a key thing to remember; the sun kills everything, ironically. One point of possible correction: you say that Type 4 Mask goggles are the same as diving masks. Not really. Diving masks have a key added feature: covering the nose. This allows for “clearing” the mask of water by blowing air out of the nose. Swim goggles don’t need this, which would only add to drag.